and appreciated part of the local community. 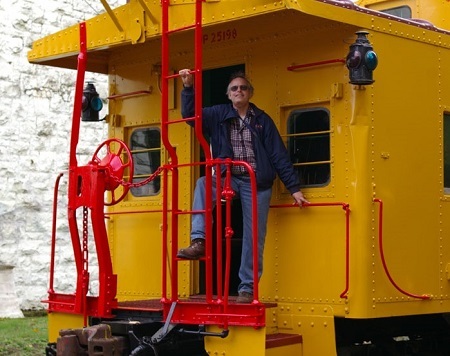 It is the basis for the OPR motto of being "Oregon's Progressive shortline Railroad." humanly possible to achieve the combination of those goals. The OPR and its crew and volunteers, look forward to many more years of reliable and dependable service to its customers and the community. Locomotive & Equipment Roster of the OPR page. have more histories and photos. The original East Portland Branch consists of the remaining trackage between the East Portland Yard and the Oregon Pacific shops at Milwaukie, Oregon. 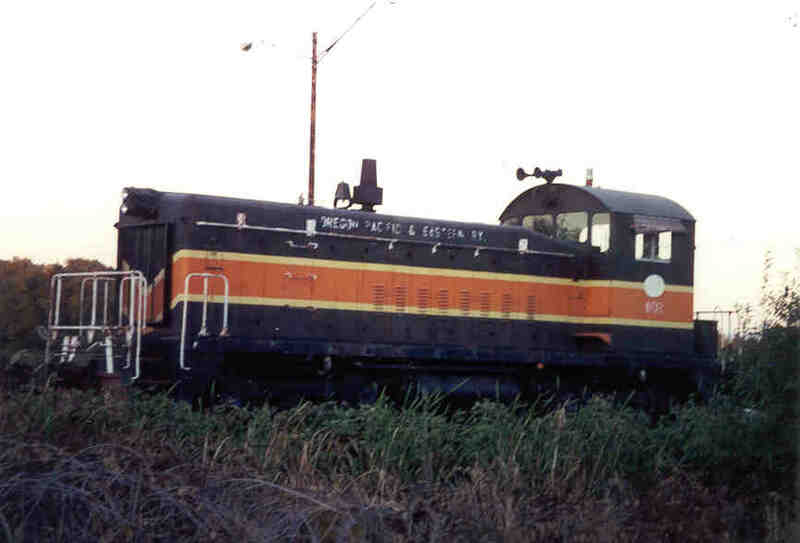 over by Mr. Samuels in 1993.
maintains motive power and other equipment at each operation to minimize the need to move equipment between the two railroad branches. locomotives on railroads that included the Southern Pacific Shasta Daylight, Valley & Siletz, and the SP Tillamook Branch. money. The superintendent didn't ask anymore questions and Mr. Samuels continued to regularly operate the switch near his house for the railroad crew. very railroad he would own and operate many years later. 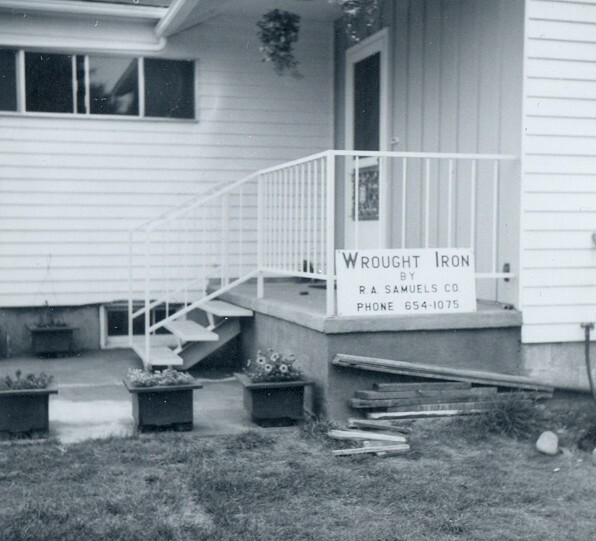 In 1960, Mr. Samuels became acquainted with Shady Dell, a live steam scale railroad out of Molalla. It was during this period that Mr. Samuels built a 1.5"
to inspect the little one first. It was at Shady Dell that Mr. Samuels met a man named Walter Beebe who became a great friend and mentor to him. Mr.
Samuels would later name his No. 1202 locomotive after Mr. Beebe. 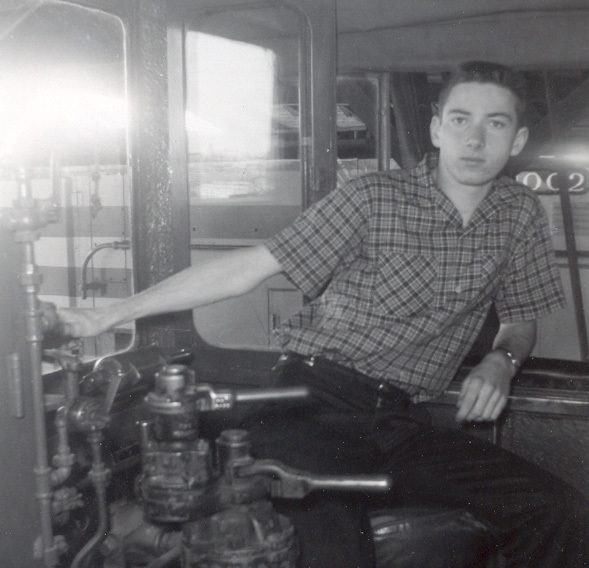 version of the PTC 100 in 1961.
job and it was here that he gained much of his initial railroad and locomotive experience. truck, motor car and hand tools. 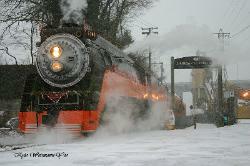 was awarded the contract to remove the Burlington Northern (Oregon Electric) line between Hillsboro and Forest Grove. 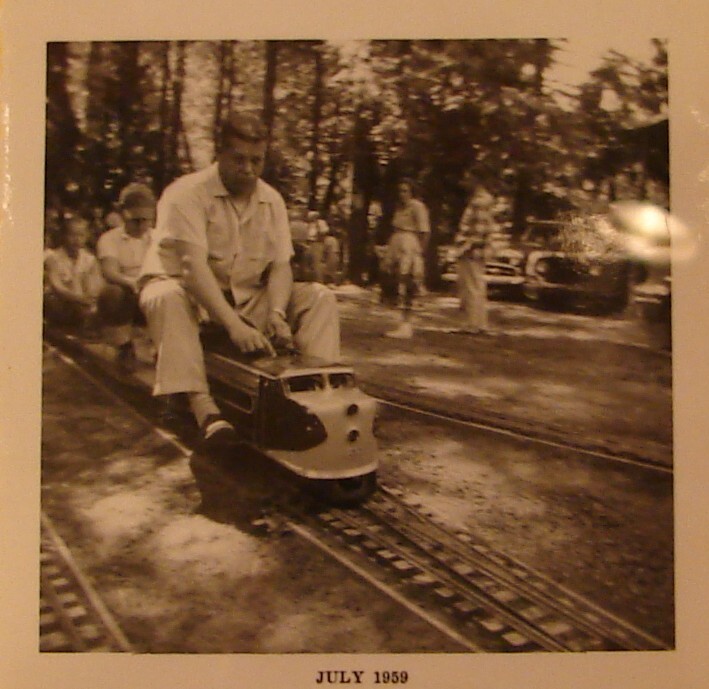 It was also during this time that Mr.
job and would later incorporate that track and switches into his new steel fab shop and later into his railroad shops. switcher for the Brooklyn Yard in Portland. replacing the engine and restoring it. 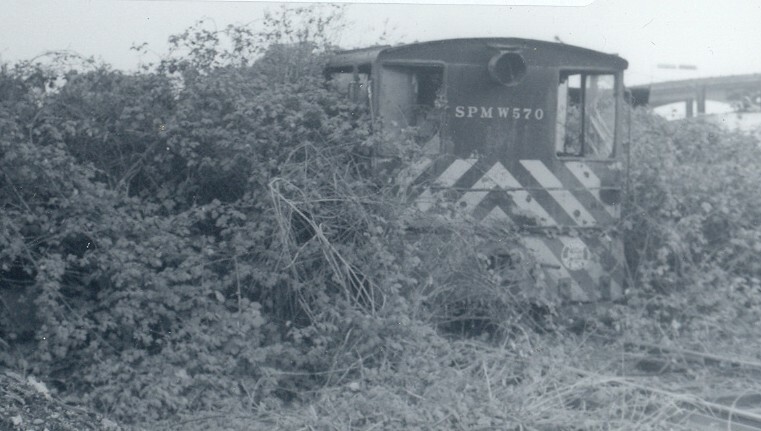 On occasion, the engine would find itself out on the PTC mainline with Mr. Samuels at the controls. 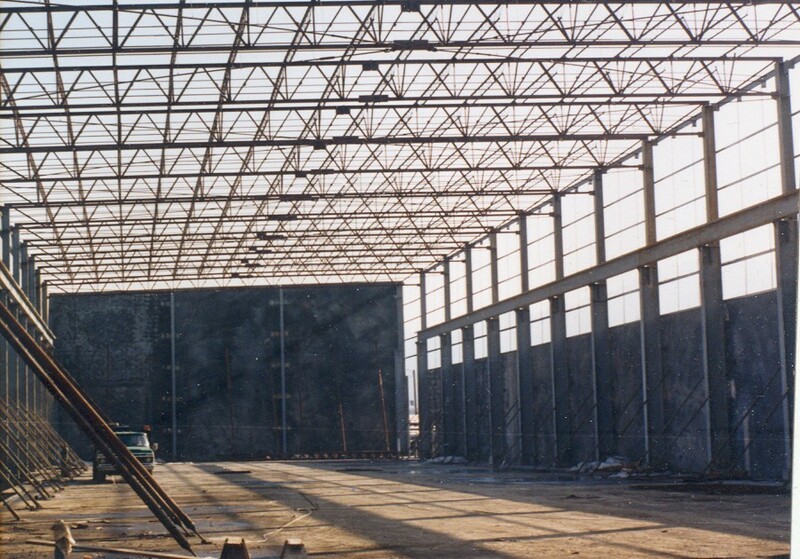 steel shop in the 1980s. salvage the track, ties and equipment along the line. Pacific Industries was the non-railroad side of the company that performed work, including salvaging the Boring Branch, prior to the official railroad take over. lettered for Samuel Pacific Industries to this day. 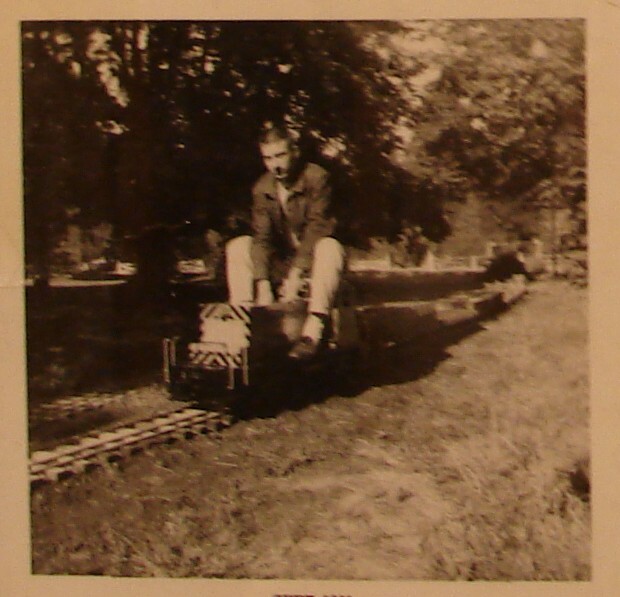 on the Boring branch during the salvage operation so Mr. Samuels needed a smaller locomotive. very interested in getting rid of it. 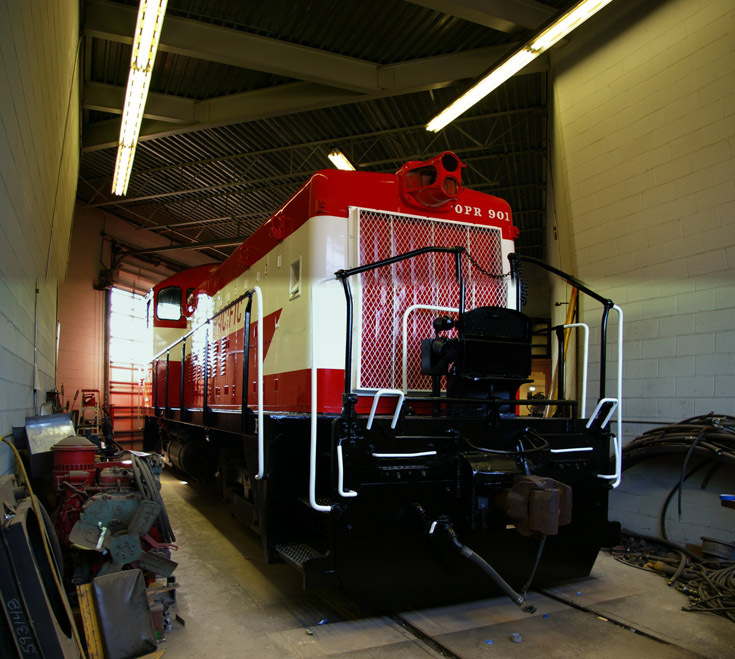 Mr. Samuels purchased the locomotive in approximately 1987 and set about the task of relocating it back to the PTC. the cab the whole way. 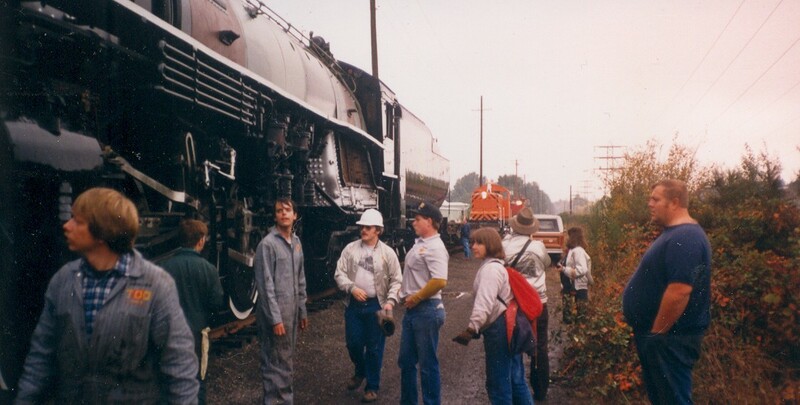 but they were able to save about 2 miles of good rail and 8000 ties that were later incorporated into refurbishing the remainder of the East Portland Branch. 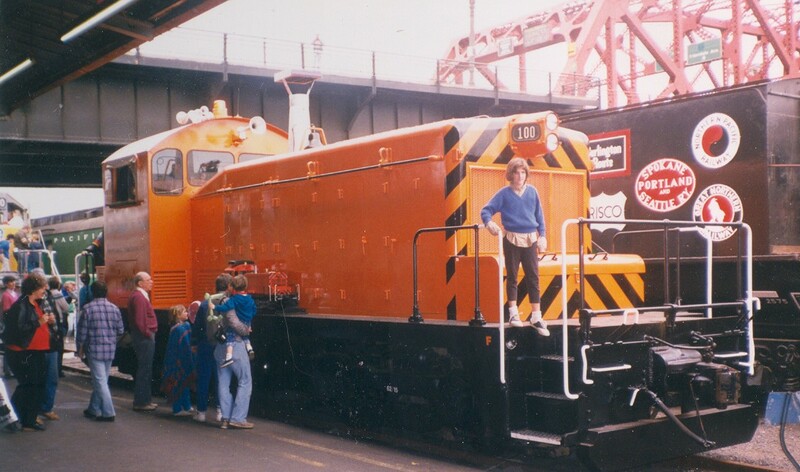 here at the 1988 Railfair at Union Station in Portland. he decided to put the 5104 trucks under the 102 and long term lease that locomotive to the Columbia Business Center in Vancouver. quite fitting, since it was the very the same diesel engine that placed the SP&S 700 into Oaks Park, some 30 years earlier. 100 were responsible for pulling it out. shape and ready to go. Customers on the line were extremely happy with Mr. Samuels attentive customer service skills and his clear pursuit to build a customer oriented railroad. was willing to ship anytime. A significant reason for the future success of the railroad would be this legendary customer service. aspects approaches class 2 conditions, thanks to upgraded ties and tamping and realignment projects. but couldn't pass up on such a good deal. It was then that the idea came up about running a passenger excursion on the line. operation as well. Regular seasonal passenger service on the East Portland line, via SamTrak, began in 1993.
built the remote control mechanism entirely himself. 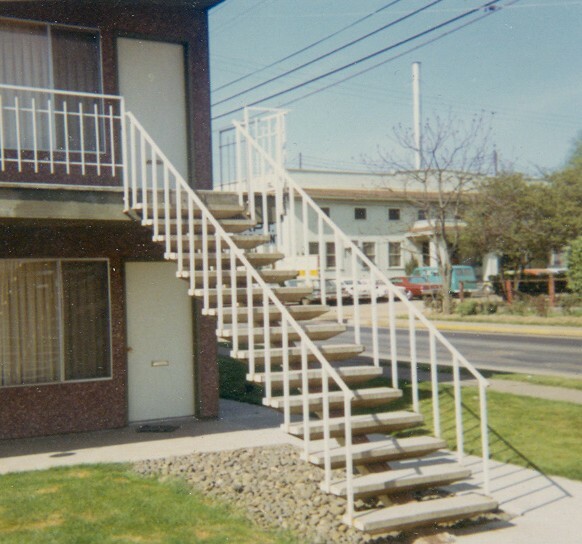 Portland in the early days of the EPTC. the 4501, open air car and 900 caboose at Sellwood station. operation. 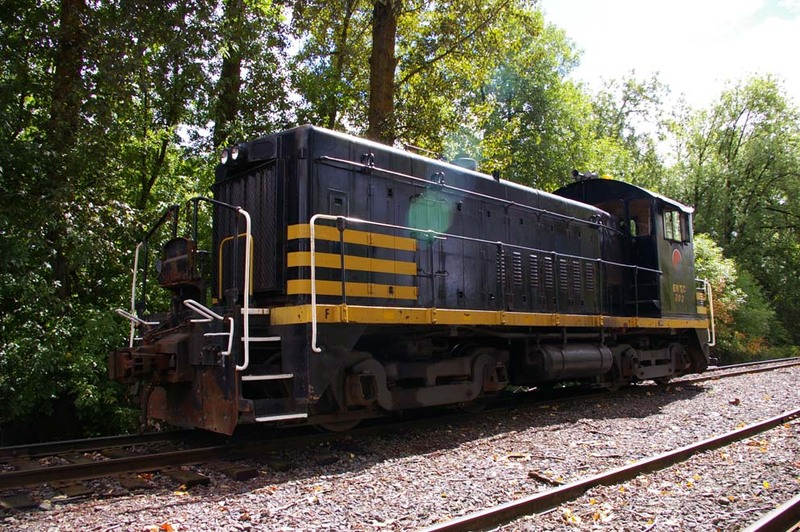 The operation would initially be called the Molalla Western Railroad, reporting marks MWRL. STB exception was granted in February, 1993. 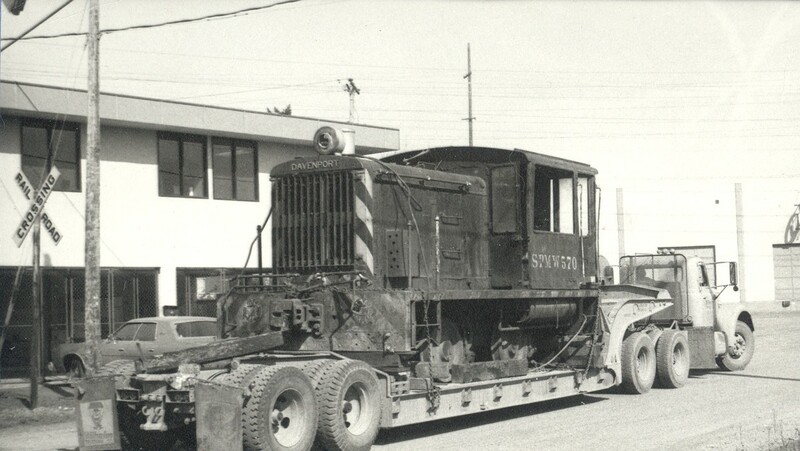 SW1500 switcher during the first months of the operation. painted. 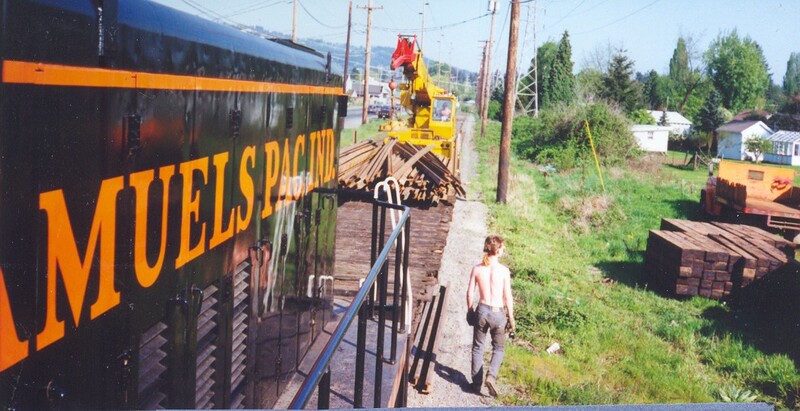 This was the only time that the 100 has served on the Molalla Branch. 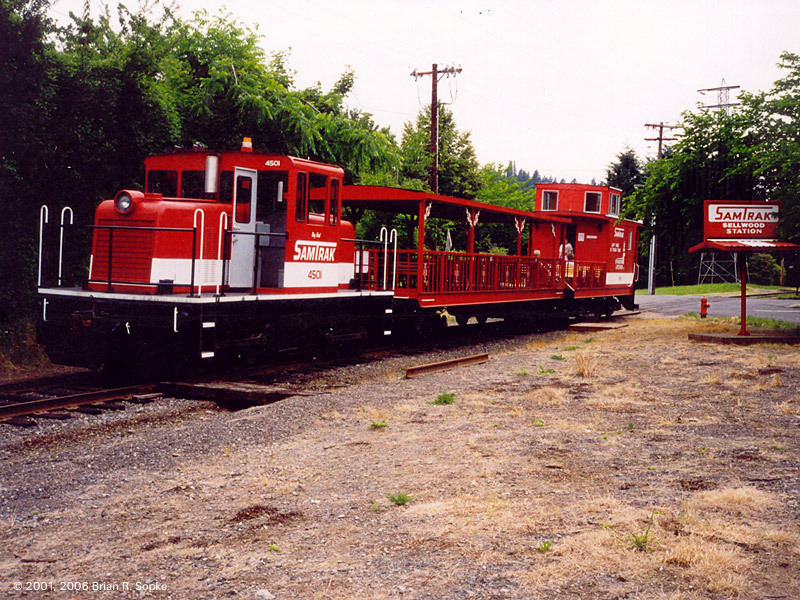 Soon, the 801 was permanently assigned to the Molalla Branch. 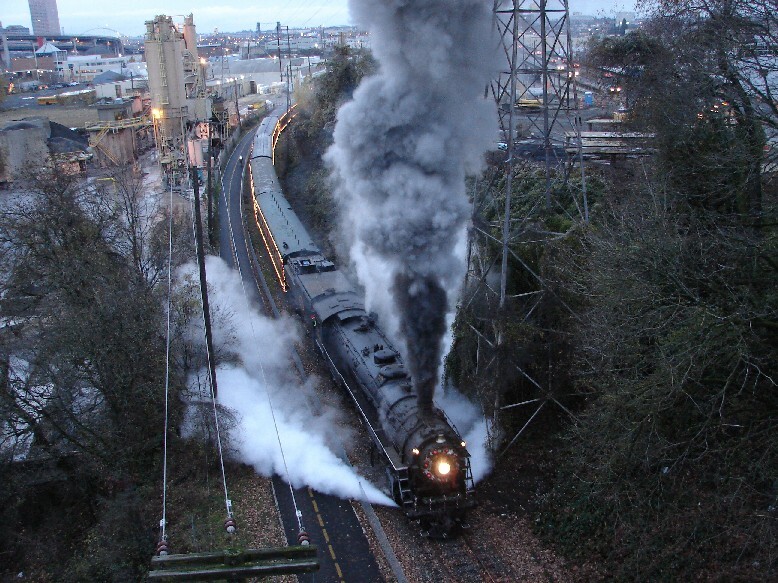 of operation on what was then called the Molalla Western. transferred there and the 100 came back to East Portland. for the Oregon Pacific Railroad. 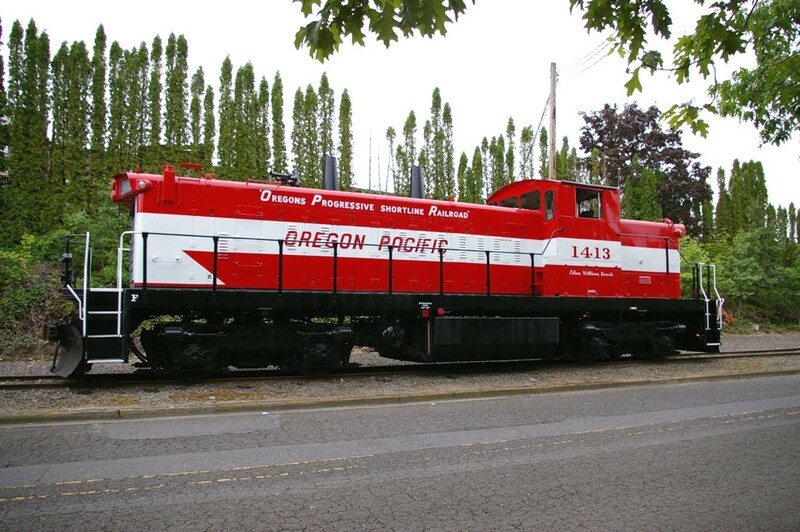 In 1994, the Oregon Pacific & Eastern Railroad in Cottage Grove had shut down and was selling off its equipment. Mr. Samuels purchased the OP&E No. Pete Replinger. This is one of only three NW5s known to exist. sections. 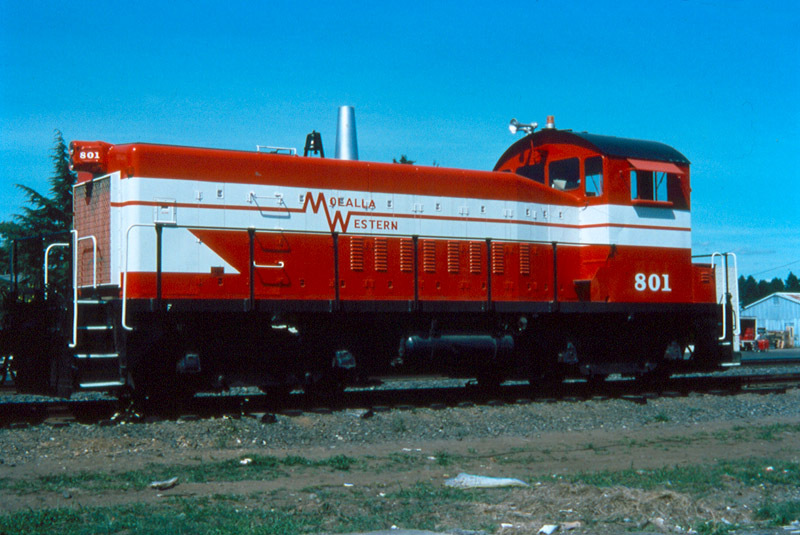 That same year, an SW8, the 803, was purchased and placed in service along with the 801 on the Molalla Branch. 1995 was also the year that Mr.
to avoid washouts in the event of any future floods. 4000 ties and 10,000 tons of new ballast. actually remain the business office of the OPR until the new office was finished in 2003. Western names falling to the wayside and the Oregon Pacific Railroad name encompassing all operations. western right of way is closer to the scenic Willamette river and it was easier to fence off the eastern right of way to protect the public from the moving trains. The Oregon Pacific Railroad and Springwater Trail have co-existed ever since with few major issues. parked at the East Portland Yard for about a week on display and giving cab tours. now, the Molalla Branch ends about 1/2 mile south of RSG Forest Products in Liberal. was upgraded and has done significant upgrade work to the East Portland Branch. grand opening of the Springwater rails to trail next to the Oregon Pacific East Portland line. railroad to accommodate several local city construction projects. This section was located just south of the East Portland Yard, near Water and 4th Avenues. service as the primary locomotive for the East Portland Branch. steam locomotives will be a regular event on the OPR. extremely heavy and long wheel base steam locomotives so they can safely run on a railroad that was originally never intended for locomotives of that size. 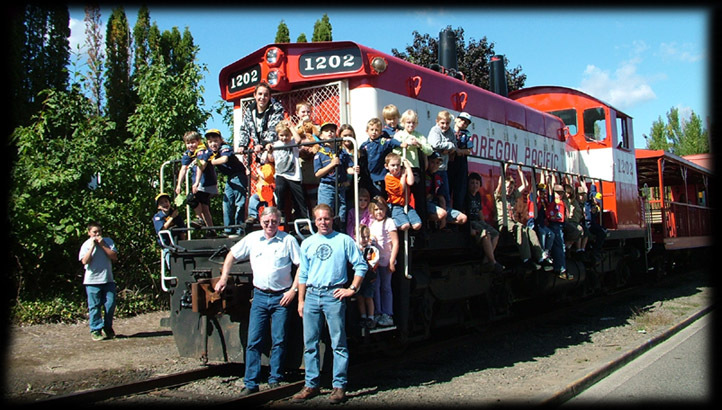 Mr. Samuels and Milwualkie Cub Scout Pack 593 on the Oregon Pacific Railroad. operations, while still occasionally hosting public events, including steam train rides and public and private diesel passenger train rides and shop tours. the OPR Molalla Branch. A new spur was recently constructed to this facility and business on the OPR's Molalla Branch has increased. OPR 901 in the shops. 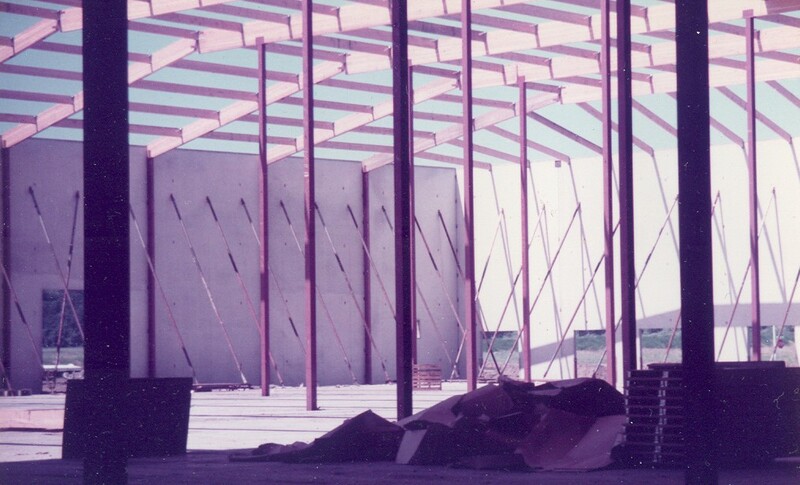 steel shop in the 1970s. may eventually accommodate a business industrial park at some point in the future. The core of OPR public tourist operations, public events and the main shops remain on the East Portland Branch. Switcher and remains at the Steel plant behind a secure fence when not in use. service with the OPR as the GP7 did not fit well with the crews in switcher service. The sale of these locomotives helped with the purchase of the No. 901. 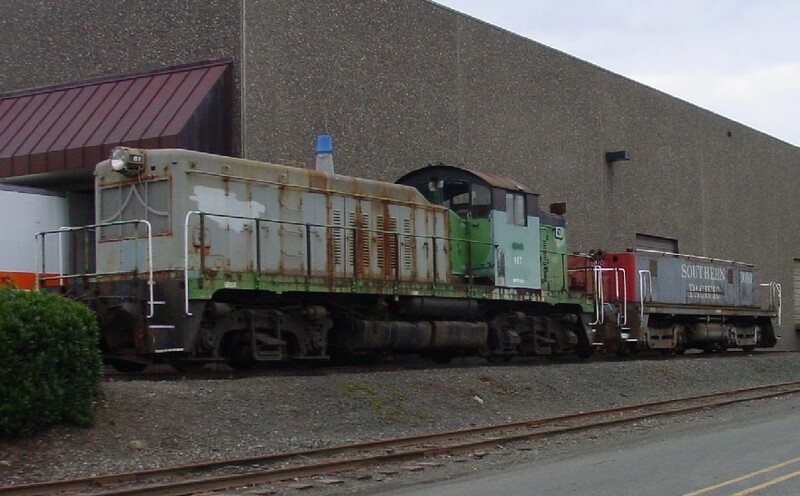 In September, 2008, OPR 4501, a GE 45 tonner that originally saw service as the puller of the Samtrak trains, was sold off to the Port of Tillamook Railroad. 100 provided plenty of power to switch the railroad in the early days. on the OPR. It currently resides at the OPR shops. 2009 would also bring an addition to the MoW roster as a new and unique hy-railer was created out of a brand new Jeep Wrangler. 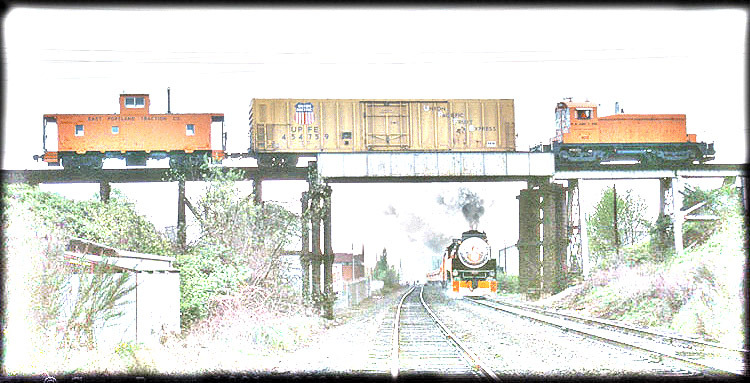 bridge using an OPR train. on its property and its expected that because of that, many more features will be filmed here in the future. for the OPR was retired from railroad service. size, although having the same power rating. UP Caboose at Golf Junction. 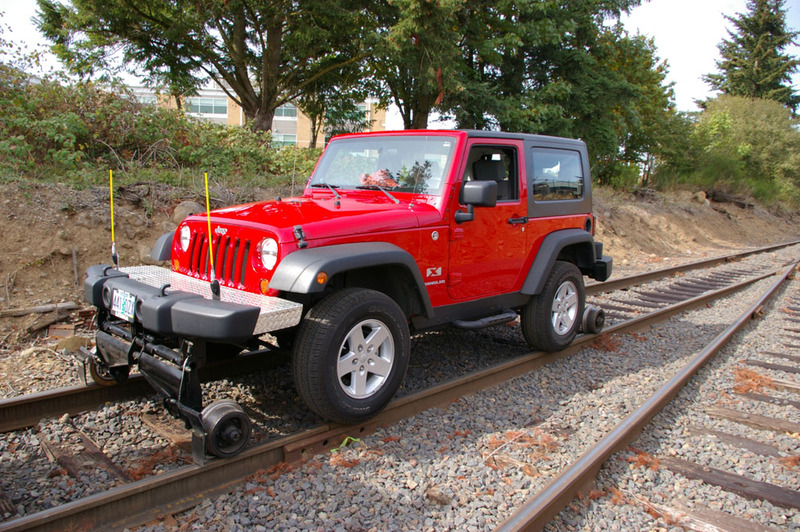 Jeep Wrangler on the Molalla Branch. lettering at the OPR shops. Leverage, on the Molalla River bridge.